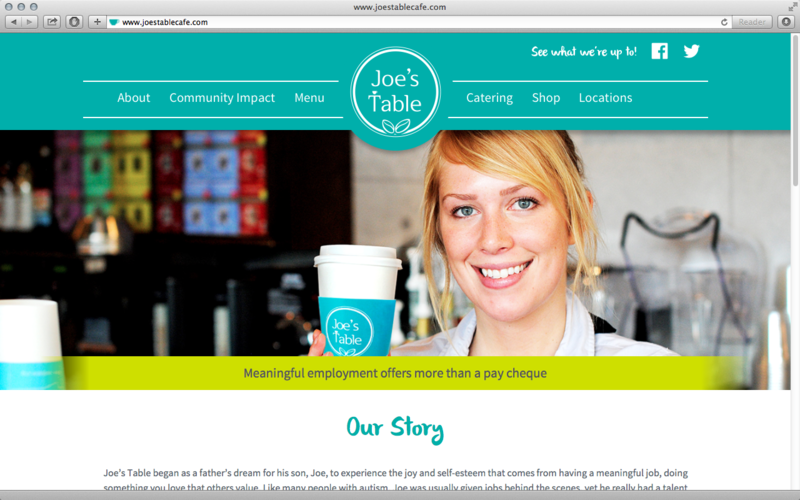 Joe’s Table Café is a coffee shop that has a mission of creating meaningful employment opportunities for people with disabilities. We were pleased to be a part of a communications team that worked to solidify their branding and greatly improve their website, while delivering the most bang for the buck possible. We delivered a custom-built WordPress site while maintaining the aim to have everything updatable by the client. "Working with Foley was a wonderful experience. He was professional, responsive, got "the big vision" and created an excellent website in a short time frame - what more could you want!"